Get stage-ready power and tons of versatility in a super-portable bass head. 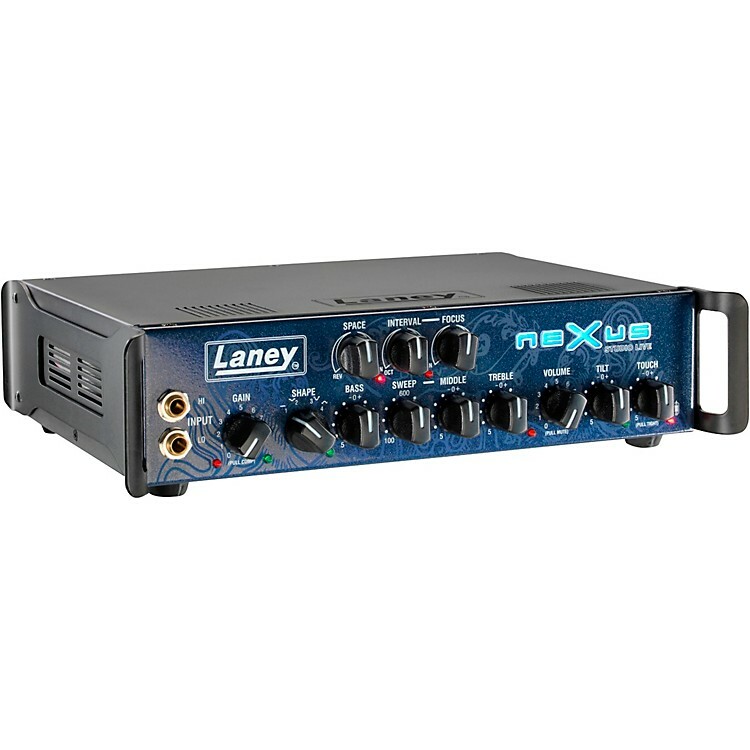 The Laney NEXUS-SLS is a small, highly powerful and ultra-compact, reliable bass head. Part of the world renowned NEXUS range the SLS takes all the tone, power and flexibility bass players have come to expect from NEXUS and packages it into an ultraportable amp. This is a bass head designed with the player in mind, putting your mind at rest from the moment you plug in, and at a mere 4.5kg, very competitive and reasonable pricing it won’t break your back or your bank! This is a day and age when the home studio is a near essential for the modern player and the incredible T-USB option on the Nexus SLS lets you connect right into your computer and becomes the digital interface between you and your music. Alongside the T-USB function there is the standard Jack input (HI & LO), D.I, Headphones, Mini Jack, FX Loop, Tuner, Footswitch and Output Loudspeaker.